Leaders in DePaul University’s new Women in Entrepreneurship Institute – the only one of its kind nationwide – have created their own successful businesses and now want to help other women leap past their biggest remaining hurdle: access to capital. The organization cites the lack of representation for women in business as a major hurdle to budding women entrepreneurs, with the male-dominated industry making it harder for them to succeed. Dolinsky and many other women in entrepreneurship who have built successful businesses are looking to support the large amount of Illinois women aspiring to be entrepreneurs. At Illinois universities, 28 percent of share startups are founded by female students and faculty members, compared to 17 percent nationally, according to the institute’s website. By becoming a committee board member for the Women in Entrepreneurship Institute, these women have joined a community working to support new entrepreneurs as they face barriers ahead. The institute is unique because it’s paired with a ‘women in entrepreneurship ‘class that undergraduates or graduate students can take for credit. Students already at DePaul can enroll for the spring class during Winter Quarter. Everyone else should contact undergraduate admissions. The institute will also offer out- of-class support with panels, pitch competitions and incubators, Westring said. Only two percent of venture capital funding is awarded to women-led companies, despite women owning 38 percent of businesses in the country, says the institute’s website. When it comes to the economic clout of women-owned businesses, Illinois is in the lowest 20 percent of U.S. states. Westring stated that, without good capital backing, starting a successful business is a challenge. “It’s hard to start a business without money,” Westring said. These assumptions of what make a good entrepreneur inhibit women in an investor’s eye. Dolinsky has worked with various capital partners over time while building her businesses. She says she noticed not one has ever had a woman partner, leader or team member. Similarly, only 26 percent of small business owners in America are women, according to a statistic from Guidant Financial. This a slight increase from 2017, where only 17 percent of small business owners were women. Despite the lack of female-run businesses, it is reported that women in business typically have higher levels of education than their male counterparts. In a survey by Guidant Financial, 74 percent of female small-business owners held at least an associates degree, compared to only 64 percent of men. But these women say they aren’t giving up. With experience in the business world, they have advice to offer to future women entrepreneurs. 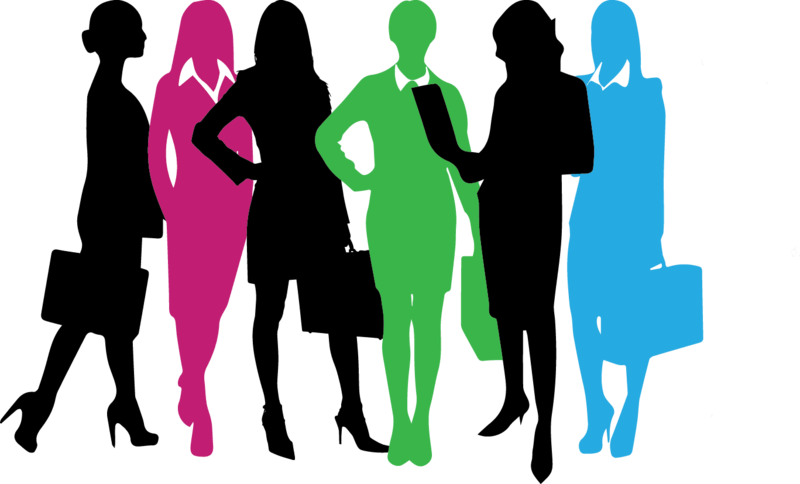 The institute’s goals are ambitious, hoping to transform the business industry as a whole to be more accessible to women.